Each week we will endeavour to share a project that we have found and love. A weekly #patontheback to the creator – to say thank you for this form of inspiration and for giving us goosebumps. 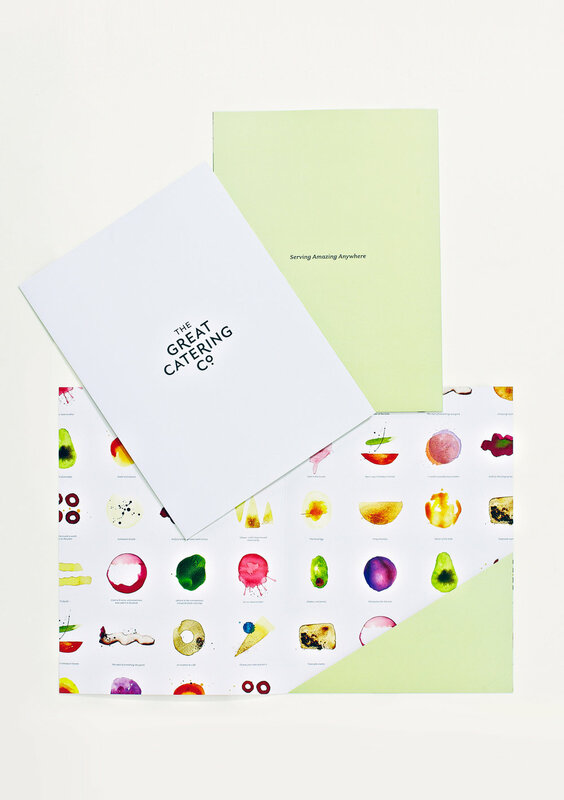 As retail design is a passion of ours, and equally anything that involves food – The Catering Co branding by Gideon Keith, New Zealand – was a good place to start. 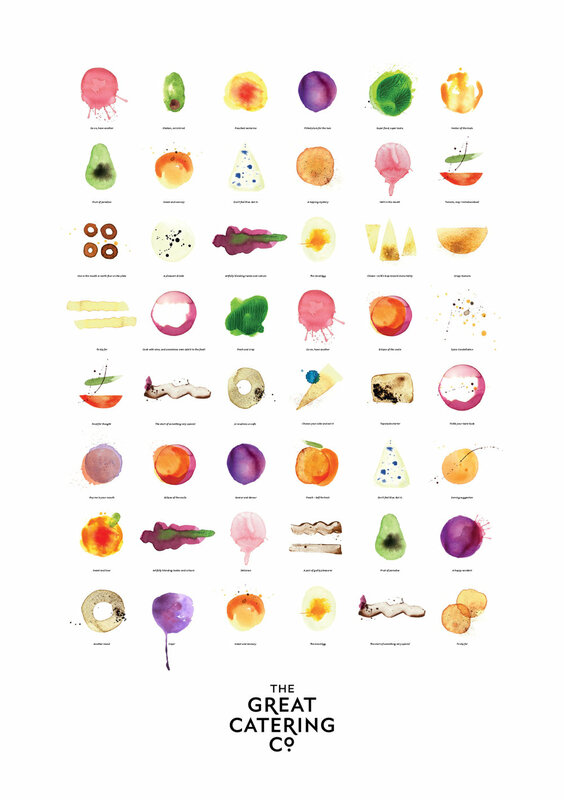 Watercolour is seemingly effortless, and unpredictable – so the way it’s been used to create the logo and represent different food areas is pretty clever. It looks beautiful, the colours are consistent and the sharp font keeps it from being too ‘frilly’. 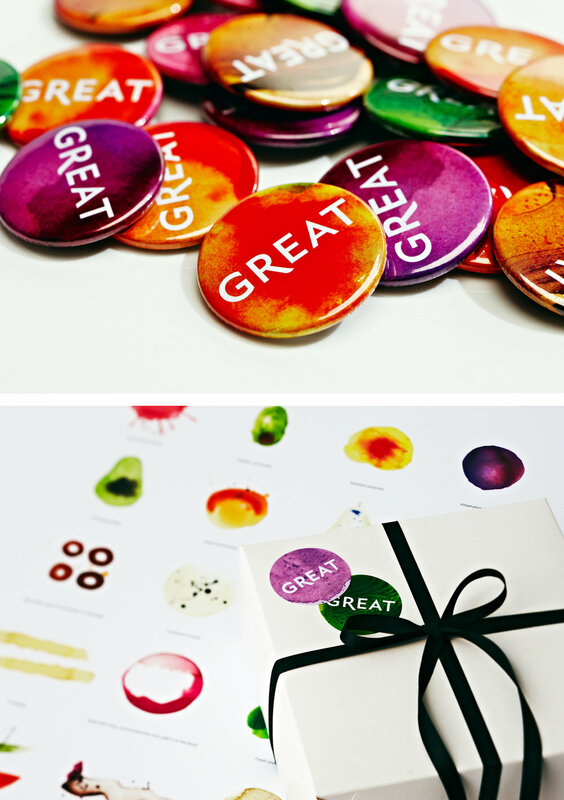 The execution of this across the different areas is also pretty stunning – the unpredictability of the watercolours working across the business cards too.